To facilitate a workshop to design city out of salvaged cardboard boxes. The goal of the client was to have an all-inclusive event that supports all heritages, cultures and communities in a space where creativity and imagination are free to roam. We wanted to enable festival attendees both young and old to imagine and craft their ideal, shared community spaces. With tons of cardboard boxes and a table full of craft supplies of every colour paint, makers, tissue paper, feathers, and glitter. 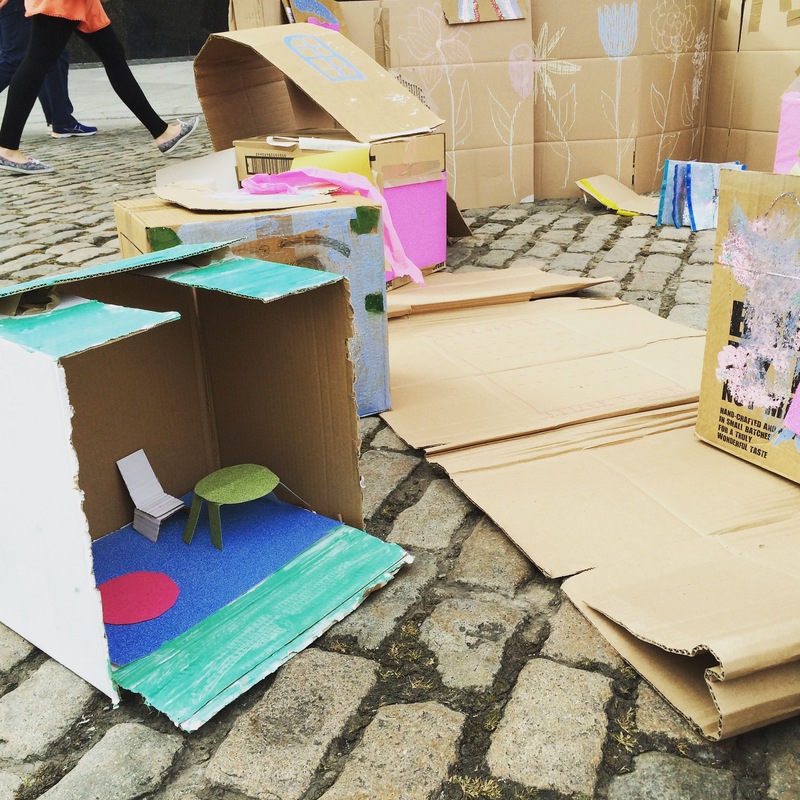 For a few hours within the larger festival in Smithfield Square children and their parents created their own spaces. They imagined a city that was full of green space, art spaces, theaters, rivers, sweet shops, and more. We wholeheartedly agree.